We’re halfway through Q3 and we are approaching the final stages of planning Q4. Certain industry factors have left some craters in the wake, but the moon-walking automotive direct marketer feels at home in such conditions. Let me explain. Soaring fuel prices and economic uncertainty led to a sharp decline in U.S. auto sales in general, but truck and SUV sales in particular suffered the most. At this point there’s no need to recap this summer’s auto sales woes, but add in the stricter lending guidelines and loss of lease business, and we can say with assurance that the “car business” is hurting right now. But from our perspective, our interaction with U.S. auto dealerships and what is being reported in the national media do not necessarily match up. For example, earlier this month a Hyundai dealer in Tennessee did a 5,000 piece targeted direct mailer, and from the first half (2,500) they got 36 responses (1.44%), which isn’t bad. It’s above industry average, and it yielded double digit sales. But there’s nothing too special about that (our direct mail has been called the best in the business, and over 90% of our programs have performed in this manner for over three straight years!). The amazing thing is that with a tweak in the data for the remaining 2,500 pieces, the dealer got 175 responses (6.99%) and is still selling units to this day from the mailer we sent out! In the end, the dealer will probably end up with 30 or 40 retail deliveries. This is in addition to the traffic produced by other advertising mediums and daily walk-ins. This dealer will gross over $100k from a dinky little 5,000 piece Hill Marketing mailer; just one of the reasons our clients love us so much! On the other end of the spectrum is a Dodge dealer in NC. Only the man that has been hiding under a rock in a dark cave isn’t aware of the ultra-suffering and hemorrhaging that Dodge dealers have had to endure this summer. But as a Hill Marketing client, this Dodge dealer has had a steady flow of quality traffic from our mailers. We got a call at the beginning of the month and the dealer “TRIPLED” their normal amount of direct mail (they run with us every month). Now, why would a Dodge dealer triple their amount of direct mail? Our answer: because our mailers out-perform anything else on the market! This Dodge dealer is enjoying over 3% response rates and is not firing salespeople, rather, hiring more! Try to tell this Dodge dealer that the market is soft and he’ll laugh at you. His salespeople and F & I team will average over $10k on this month’s paycheck – because they’re selling units with good grosses. Another example would be a GM dealer in Louisiana that runs our mailer religiously. In the midst of all the trepidation they are laughing all the way to the bank enjoying a 3.74% response rate from Hill Marketing direct mail. Then there’s a Texas dealer that can’t stop putting in orders for our direct mail. He’s a Chevy store, and he uses us multiple times per month (anywhere between 10,000 and 30,000 pieces). For over a year we have been providing direct mail for this dealer, and in his eyes, we’re his hero. So it is with a major San Antonio dealer (tough market). We’re the ace in the hole for them because we’re the only direct mail provider that can get 5.34% response rates! To a bunch of savvy car people, leads are of essential importance. That is why the GM down there picks up the phone and calls Hill Marketing and orders direct mail from us – every month. Anyone can say anything online. That’s just the way it is. So if you’re a dealer reading this and are considering doing direct mail but think I’m lying, do like they did at one point and call me and ask for references. The above referenced real life cases have been informed of this article and are willing to take reference inquiries. Nothing beats a real life testimonial from a peer, and now is your chance to check things out. Q4 will be here soon, and there’s still time to book Q3 events. It’s either that or you’ll just keep reading about other’s success! US Capital MasterCard Mailer, Granite Bay Acceptance, Hill Marketing Group. 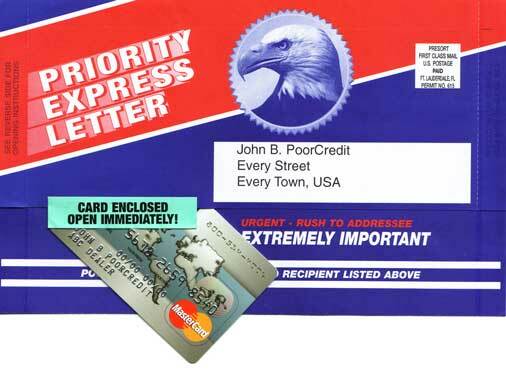 Click Here To View The Sample of the US Capital MasterCard Mailer by Hill Marketing Group.